Hummus (also spelled houmous or hummous, amongst other variations) is a fantastically quick, easy, healthy and delicious dish which can be served as a snack or as a meal with accompaniments. There are many different recipes for it but this particular version is one of my favourites. You can of course cook the chickpeas from scratch if you prefer, but you will need to do some serious pre-planning since raw chickpeas require soaking overnight, then 2 to 3 hours of cooking time before you can use them. It’s slightly less healthy but much easier to just use a tin, although preferably one with the fewest other ingredients added (some even contain sugar so be sure to read the ingredients list). Tahini is available in most health stores and some supermarkets these days so if you can find it, by all means use it. 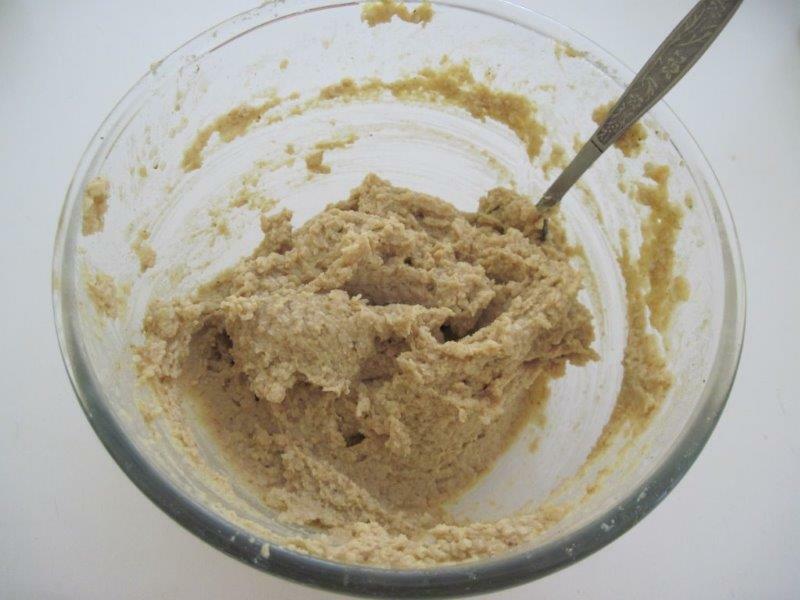 Since tahini is simply sesame seed paste though, an alternative is to just use straight sesame seeds instead. If I’m feeling energetic, I sometimes lightly toast and grind the seeds beforehand, which does release more of the flavour, but at a pinch, I just chuck the whole seeds in as is. I’ve given approximate quantities of cumin and lemon juice here, which you can adjust to taste. I personally love the freshness of lemon in this dish so usually end up using closer to a whole one. I’ve also added preserved lemon before, which worked really well, although it’s not easy to come by (I’ll share my recipe for that one of these days). If you want some heat, feel free to sprinkle some chilli or paprika over the finished dish. 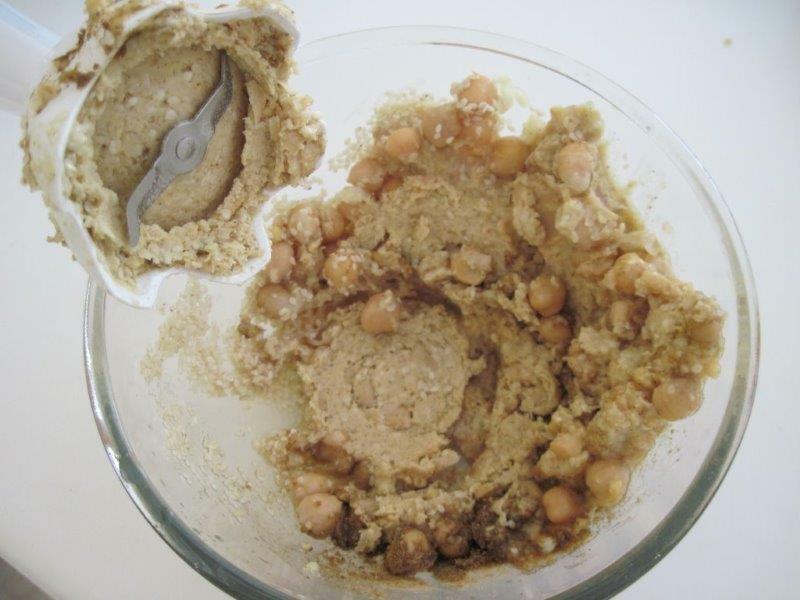 A fair amount of olive oil is traditional in hummus, partly for its delicious taste and partly to make blending easier. You can play with the amount you use though, again to your taste. I generally use 2 – 3T of olive oil and then some plain yoghurt, which adds a slightly sour bite and also helps to lighten the consistency. I know some people add some of the brine from the tin instead, but personally I don’t know why you would do that when you can rather use the delicious flavours of lemon juice, olive oil and yoghurt. The final consistency will depend on how you like it. Some prefer it ultra smooth, while others like it a bit chunky. Just keep blending till it feels right to you. I like to serve hummus as a meal with a selection of things to dip and top with. Use your imagination to pair it with whatever you think will work! 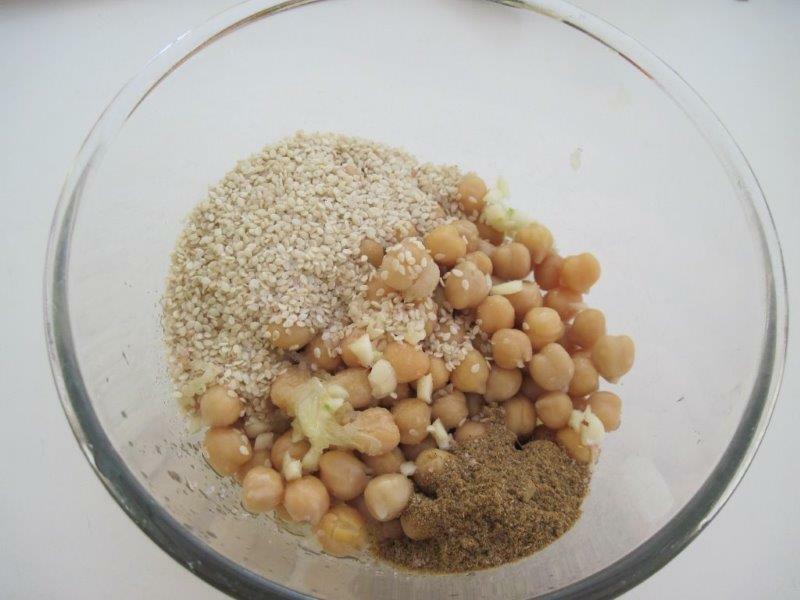 Place the chickpeas, garlic, tahini or sesame seeds, cumin, lemon juice, salt and 2T of the olive oil into a blender or a bowl (if you are using a hand-held blender). Start blending into a rough paste, adding more olive oil if it is too thick. If you would like to thin and lighten it further, you can blend in some plain yoghurt – just keep blending until you get a consistency you like. Taste and add extra lemon juice, cumin and/or salt to your preference. 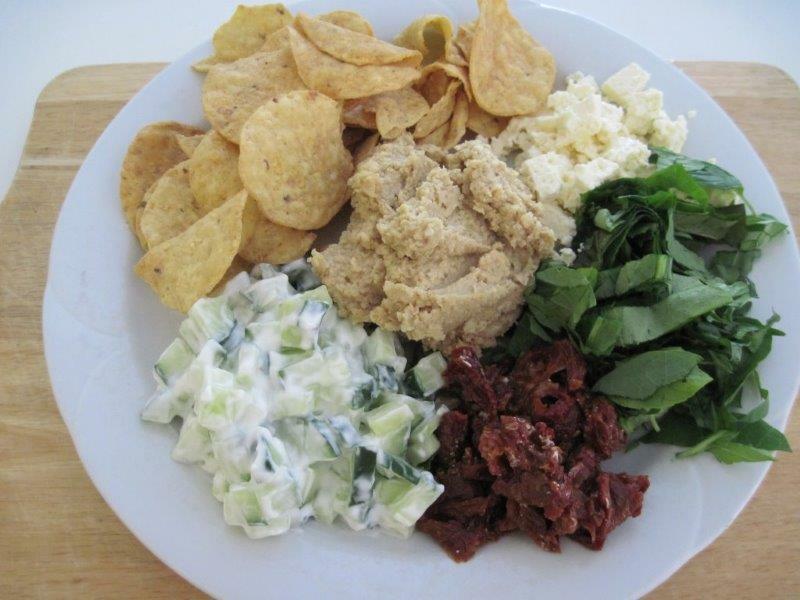 If you are having it as a meal, you can serve it with something to spread it on, like nachos or pita bread, and a selection of things to top it with, like sun-dried tomatoes, feta, a mix of chopped cucumber and plain yoghurt, and a selection of greens. Hummus will keep in the fridge, covered, for 2 – 3 days, so feel free to double up the recipe and use the left-overs in different ways. Mmmnnn… delicious! Please remind me how to treat sundried tomatoes. Sun-dried tomatoes are luckily fairly easy – it just takes a while before they’re ready to eat. Pour boiling water over the dry sun-dried tomatoes to soften them, leave them about 5 minutes, drain and then gently squeeze out some of the excess moisture. Prepare a kind of ‘salad dressing’ in a clean jar with about half a teaspoon of mustard, a dash of sugar and some balsamic vinegar and shake it up to dissolve the sugar before adding a little olive oil. Layer the warm tomatoes in the jar with slices of garlic and top the whole thing off with canola oil. Put on the lid and shake it up a bit then open again and check if you need any more oil in order to completely cover the tomatoes – any that are not covered may become mouldy. Also try to get rid of any air bubbles if you can. Reseal and put in the fridge for at least 2 weeks before using them. Enjoy! Quote: Chocolate cake – guilt or celebration?